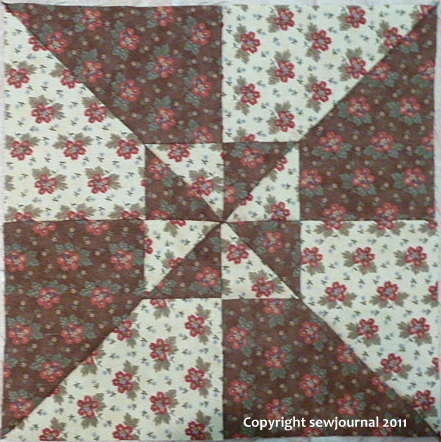 After the Foundation Paper Piecing fiasco I decided to stick with what I know – hand-piecing. I took the double whirlygig block and drafted it in Electric Quilt. I printed out the templates then cut them out of plastic. Here is the result. The fabric is from the Portobello Market range. I’m also very happy to report that it is EXACTLY 12.5″ square! Very pretty! And the hand piecing is stress free! Oh the joy of a perfectly pieced block, glad you got there in the end.